We believe that quality stationery is in the details. From the ease of ordering and our high quality materials, we strive to make the customization process as easy as possible for our clients. The steps below show how our process works! Visit our FAQ page to learn more. You may find something you love right in front of you! If you don’t see exactly what you’re looking for, let us know – we love designing custom things. If choosing a custom design, please email us some inspirational examples to help point us in the right direction. We can meet in person, over the phone, or just simply email. Please provide us with the details of your order by filling out this form. Once we meet (literally or figuratively), we will send over a custom quote outlining the details of your order. Once the quote is approved and contract signed, we will ask for a 50% deposit – then we will begin designing. We will work together to create rounds of PDF proofs. Once you have approved the design, we will send the final invoice and begin production. Please see our various products, shapes, and sizes. This visual will help you decide what you need and the sky is the limit. However, if your project requires a different product or size, please contact us for a quote, additional items may be available by request. 1. Any concepts created throughout the design process, whether they are used in the final product or not, remain the intellectual property of Love, Ashley and Love, Ashley reserves the right to use such concepts in both digital and physical portfolios. 2. If the client observes any nonconformance with the design plan prior to completion of the project, the designer must be promptly notified, allowing for necessary corrections. It is the client’s responsibility to proofread the designs carefully. Love, Ashley can spell check but the client must make sure to triple check for typos and/or final changes. All design changes are final once sent to print. Love, Ashley is not responsible for errors in proofreading, and will not incur the costs of reprinting orders. 3. All changes and additions, such as invitation count and design changes, must be made PRIOR TO final approval. This does not apply to programs, special arrangements, or any other last minute item(s). 4. Rejection of the completed project or cancellation during its execution will result in forfeiture of deposit and the possible billing for all additional labor or expenses to date. All elements of the project must then be returned to the designer. Any usage by the client of those design elements will result in appropriate legal action. 5. 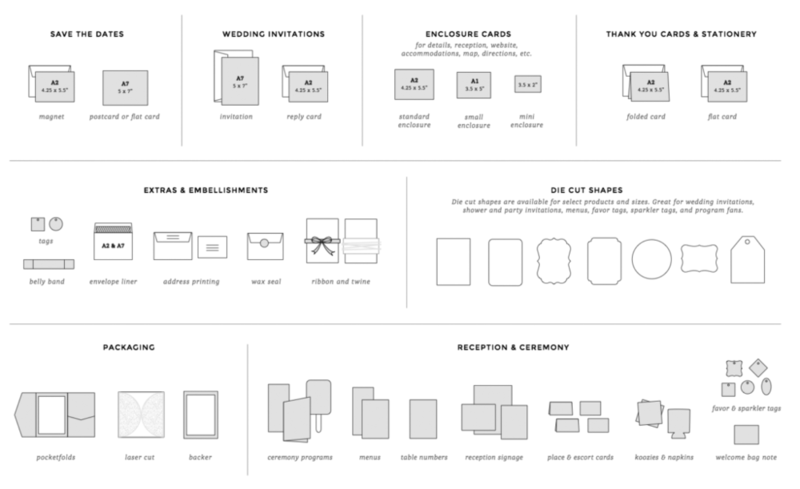 The deposit is non-refundable, and will be applied to the total amount due for wedding invitations, other paper goods or graphic design needs. Balance is due prior to final printing. 6. The client shall bear all costs, expenses, and the reasonable attorney’s fees in any action brought to recover payment under this contract or in which Love, Ashley may become a party by reason of this contract. A non-refundable deposit equal to 50% of the price is due at the time the order is placed. No design work or ordering of supplies will begin before a deposit is paid. The remaining balance, including any additional charges that the customer may have incurred, is due once the final design is approved.